Navigating a particular place has become more efficient with Google Map. In Smartphone, this app is now an essential for most. Not just pointing a place but it can give us direction with a convenient route. Yes, we have a lot of thing with Google Map app but it would more annoying you can’t access to this. Most of the time I have countered error opening Google Map. It shows me up “Google Map is Not Working” and I was like unable to use this map when I need it. This issue most of Google Map users faced as well, and when it happens same with a traveler or those who frequently use Map, It would be pathetic. So, how to fix “Google Map is not working” issue when it keeps showing all the time when you hit the map app. This Google Map issue can be fixed with just some methods and its steps. 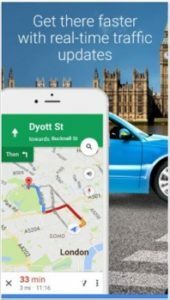 So, if you are also facing the same issue with your Google Map app then here is the guidance for you. Make you Google Map app again responsive and use it again as usual. So check the methods to solve this issue, as I will be guiding you for both iOS and Android platform. Follow the methods accordingly to make it happened. How to Fix “Google Map Is Not Working” Error Problem on Android and iPhone? Not to forget that the fixation method would be different for Android smartphone and iOS device or iPhone. Hence, separate guidance has to be followed to solve “Google Map is not working,” as this error happens on both iOS and Android devices. So, at the very first let me take you to procedures to resolve this error on Android device. 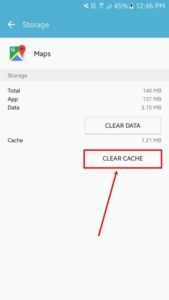 Soon after that, you will see “Clear cache,” hit that button and all Google Map will be trashed. Now go back to your app drawer, launch Google Map and you’re done. “Google Map is not working” should not show you up anymore after these steps. This is the first thing and simplest way to fix this map issue on your Android device. Just do the same with your device and if still popping up the same issue then follow another simple method. Reboot Your Device: This Google Map could trigger when your device goes unstable. If your device is running out of processing power and RAM, not just Google Map but all of your existing apps could face the same problem. As Google Map app need a good amount of processing and RAM to function fluidly. By restarting the device, some of your background running app would be killed or your device will be refreshed. Uninstall or Reinstall Google Map: Google always keeps updating their productivity apps. Make sure your Google Map is updated with the latest firmware. Or to resolve this Google Map issue reinstall the Google Map app from Google Play. 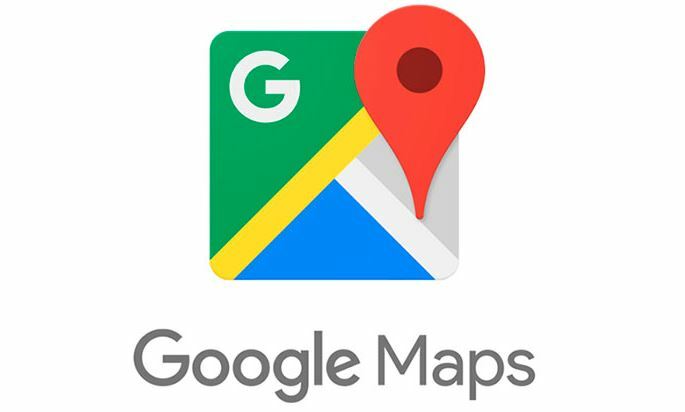 It will wiser to download Google Map from the Google Play store after uninstalling the app. Update Google Maps: If you running with an outdated Google Maps then this issue knock anytime in your iOS device too. So, make sure your Google Maps is up to date with the latest version. You can update Google Map right from Apple’s native App Store. Just go to the App Store and find the Google Map in it, check if there any update option. Immediately click on that update button to update Google Maps and fix this Map problem. This is the easiest way that you should try at the very first with your iPhone. But if this doesn’t work, you try resetting your iPhone network settings. Navigate to your iPhone device Settings. Go to General and click on Reset option. Hard Reset or Factory Reset: If the above two failed to fix your Google Maps loading issue on your iPhone then you can opt to Hard Reset of your device. In this case, your all system settings will reset but there is a big chance to fix this issue. To hard reset your iPhone, press Home Button and Power Button at the same time and follow the resetting wizard. But remember that after performing this steps, your all downloaded apps will be removed. Backup your important messages and contacts before you do Hard Reset. When we have to go somewhere and don’t know the exact place, Google Maps act like anything that time. But it is so annoying when it keeps showing that error. So, better you know this trick to fix this problem and resolve instantly by yourself. Here I have given all easy procedures for both iOS and Android devices. All you need follow those steps wisely and kill Google Maps loading error. Hope, this will help you to fix “Google Maps is not working” error problem on your Android and iPhone easily. Let me know, if you have queries or if you kknow any better methods to fix this Maps problem by commenting below in the comment box.